This double room features a flat-screen cable TV and a dining area with seating on the balcony. This larger double room features an electric kettle, a flat-screen cable TV and air conditioning. 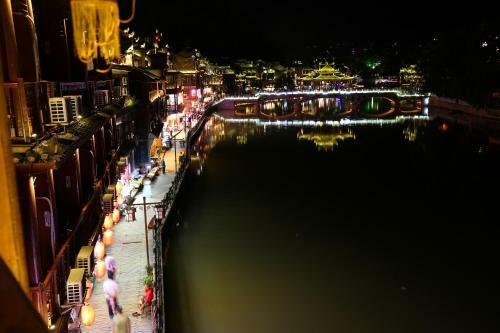 Located along the Tuo River in Fenghuang, Fenghuang Melody Inn offers comfortable rooms with a balcony and free WiFi access. Air-conditioned rooms provide guests with a flat-screen cable TV, an electric kettle and a seating area on the balcony. Guests can enjoy river views. The en suite bathroom provides a shower, hairdryer and free toiletries. 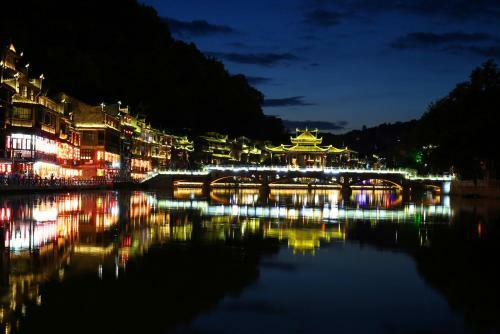 Facilities at Fenghuang Melody Inn include a 24-hour reception, tour information and a shared lounge. Simple dishes can be sampled at the on-site Chinese restaurant. The property is a 4-minute drive from the Phoenix Ancient City, while the Phoenix Car Passenger Transport Terminal is a 7-minute drive away. Cute little inn, great views from balcony, showers separate from toilets (western style toilets! ), little kittens!! Had a romantic feel to it - great for couples. Bathroom seat had a little bit of urine on it when we arrived. Otherwise clean. Peaceful place to stay in the classic town. The owner is very helpful and her English is what we need in this country. The view from the room is very perfect. The location is also good in the quiet zone of the old city. Un lugar de ensueño, en un hotel excelente. No hay nada que no me gustara del hotel. Inmejorable. The view from the room. Is not in the very noisy at night area of town. The toilet is small, unconfortable and not well cleaned. The carpet floor is the worst for such a humid enviroment. Definately, for this price they should invest a bit in the rooms and clean them better. staff assisted with our luggage and booked taxi for us, provided with complementary tea on arrival and provided sight seeing info. scaffolding and maintenance activities directly outside our windows, which had hindered the anticipated water front views and at times invaded our privacy; moldy bathroom; dated curtains and carpet . The bed was comfortable. Even though the hotel is not along the main street, the location is walking distance to the attractions. Situated in an alley, there were also interesting cafes along the aisle. There were sightings of mould in the toilet. However, looking at the location of the hotel, it seems unavoidable, but some cleaning of the mould would be good. Le personnel très sympathique, parle bien anglais et helpfull. À seulement quelques minutes de marches du centre touristique, donc endroit calme. Chambre spacieuse et confortable, vue du balcon enchanteur. Très bon rapport qualité/prix!! I love river view bacony. The room wasn't clean. There is tiny restroom. It's not worth for money. The staff were very helpful with organising me taxi's and drivers to take me places. They made some suggestions of things to do which was also great. Quite location away from the night bars but still with on the river views. Bed sheets and towles and barthroom was clean thats all yoi can expect from a budget hotel. Staff Joy spoke good English always a bonus. Like many budget hotels in china the carpet in the rooms should have been replaced 10 years ago as they get smelly and filthy. Le village est très beau : on s'y promène à pied. Il est également très touristique: beaucoup de boutiques d''objets souvenirs et de "fringues". L'arrivée en face de l'hôtel avec la rivière à traverser ce qui fut épique à cause des pluies : traversée avec valises sur quelques pierres espacées puis sur un petit pont de bois . Retour impossible, les pierres étant complètement submergées d'où recherche d'un autre trajet. Le personnel aimable ne parle pas du tout anglais d'où usage traducteurs des téléphones ou téléphone à la femme manager. Divinas vistas al río desde el balcón! Absolutely fantastic location on the river, away from the noisy tourist locations but still within easy walking distance of all the main sights. Beautiful river views from the balcony. The carpet could have been slightly cleaner if I'm being really picky, but overall no strong negatives. 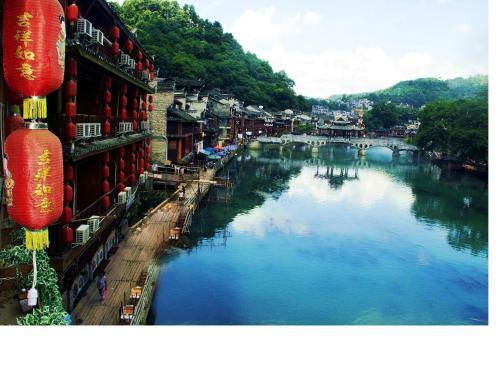 Great location.Joy spoke perfect English and was able to make travel arrangements for one day trips to many great places. The town is beautiful and the hotel was as well. 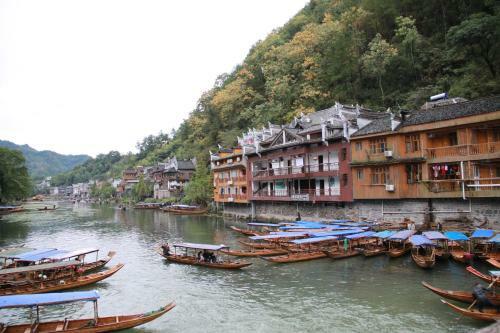 It's worth spending two full days in the town to see all the scenic spots and take a boat down the river. It's all included in the 148¥ for the city entrance. Don't forget to see the scenic spots outside they're included too. The government was doing construction repairs on many buildings Melody Inn was one. We would have had a great view but for the green netting around it. But, it has to be done sometime. Helpful and friendly staff who can speak English and good guide and suggestion Good location. The owner Mr Duan provided very good services . He even came to help when the heater did not work in mid night. His wife did not show a welcome face and this has to be improved. 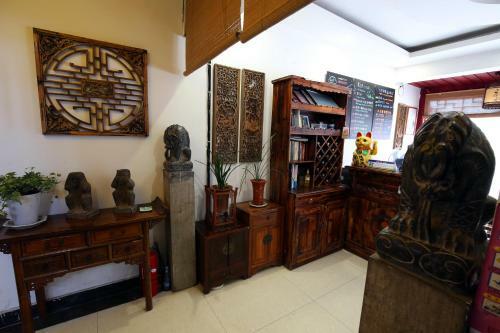 Hotel is convenient and within walking distance to the entrance of the old city. I felt safe staying there.